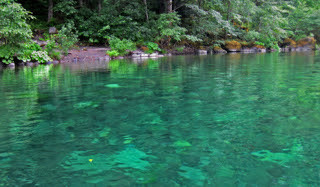 The clear waters of the Chetco River. In late June, the Oregon Treasures Act, co-sponsored by Senator Wyden and Senator Merkely, was marked up in the Senate Natural Resources committee. The Oregon Treasures Act includes the Chetco bill that will safeguard the National Wild and Scenic Chetco River from future mining threats. 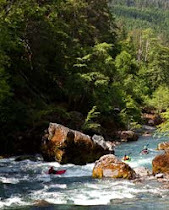 The Act also includes provisions to protect new wilderness and tributaries in the watershed of the National Wild & Scenic Rogue River and also the Molalla and John Day rivers. Senator Wyden is chairman of the Senate Natural Resources Committee, and so we hope that he'll be able to advance this important public lands legislation. On June 24, the Eugene Register Guard published an editorial in favor of the Oregon Treasures Act, exhorting Congressman DeFazio to introduce stand alone bills on the House side. Back in March, Congressman DeFazio did introduce a stand alone bill for the Chetco, co-sponsored by Congresswoman Suzanne Bonamici and Congressman Jared Huffman. There was a time when presidents and congresses worked across party lines to protect the nation’s wild areas. It takes a different strategy these days, and Oregon’s delegation should be ready to add to the state’s — and the nation’s — store of protected wilderness when the next omnibus public lands bill emerges in Congress. Please send an email note to Senators Wyden and Merkeley and to Congressman DeFazio to thank them for their leadership and to express your continuing support for the Chetco. Find links on the How to Help page.